Rovio's latest game, Bad Piggies, is now available via Google Play and the App Store, and as a PC and Mac download, but it has not yet made its way to the Chrome Web Store. These pigs can indeed fly - "Bad Piggies," the spinoff to the monster hit game "Angry Birds," set a new record by soaring to the top of the charts just three hours after release. Scammers have quickly taken advantage of this, introducing bogus versions of Bad Piggies into the Chrome Web Store that exist primarily to serve up in-browser advertisements thanks to a few plug-in permissions. 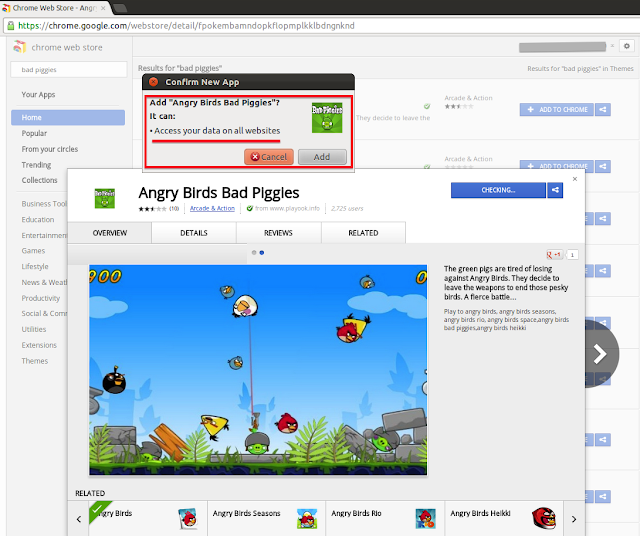 Barracuda Networks’ lab today discovered a knock-off of the new and wildly popular “Bad Piggies” game which includes a phishing plug-in that may have injected an aggressive adware program into more than 82,000 Chrome browsers. 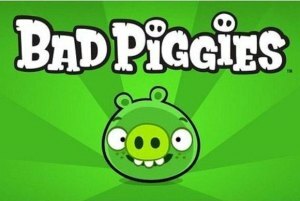 The lack of a free online version for Bad Piggies left space for others to capitalize on the instant success of the game. Just days after the game launched, Jason Ding, a research scientist from Barracuda Networks, found seven free versions of the games in the Google Chrome web store. Jason Ding notes that all of these games are being distributed by the same site: playook.info. After installation, the games insert their own advertisements into popular websites. Barracuda found that after deploying the games in a test environment, they inserted advertising from playook.com into sites like Myspace, eBay, IMDB, Yahoo and MSN among dozens of other sites on the Chrome browser. "If you have already installed, uninstall them immediately and change your passwords on other websites if possible," Barracuda said. The firm also warned users to be wary of plugins that requires a lot of suspicious permissions.